New Service Areas Include Lake, Manistee, Mason, Mecosta, Muskegon, Newaygo and Oceana counties. Plus the Lake Shore from Ludington to Holland. Fill Out Our Quote Request Form & We'll Contact You ASAP ! Tells us what your needs are. We like lists ! 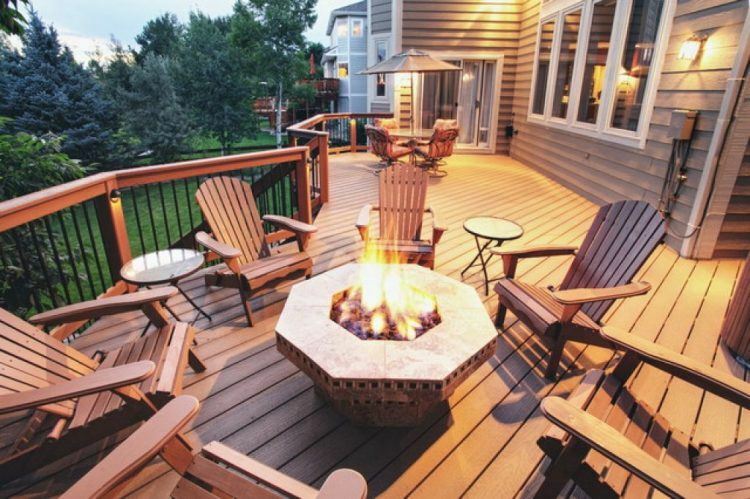 We Are Deck Builders And we Love It ! But wait, there's more ! We also do . . .
Whitetail Handyman and Landscaping is family owned and operated. Whitetail Handyman and Landscaping's goal is to build professional and friendly relationships with our customers, We are dedicated to making our customers 100% satisfied. When I was a young boy at the age of 12 years old, I helped my Grandfather and my Father, Cant forget to mention my mother, build our family cottage in Northern Michigan. My mother is one of the hardest working people I know and her example was instilled in me. My grandfather was a handyman and carpenter, and I always wanted to be like my Grandfather. Over the years I have gained much experience in carpentry, remodeling, deck building and more. I work in maintenance tech and have worked as the Maintenance Foreman for the YMCA. I have experience in excavating, from dirt work to a lead pipe laying. I install sewer, water and storm mains as well. I have worked for landscaping companies as Hardscape Foreman and we offer landscaping as one of our many services of course. I have started my company, Whitetail Handyman and Landscaping, to provide a service that no other company can provide. That is, to make it easy and simple for our customers to get ALL their projects done with ONE service company. The Whitetail Handyman and Landscaping team can do just that, on time and on budget ! Check Out Our Work ! We Would Love to Work With You !